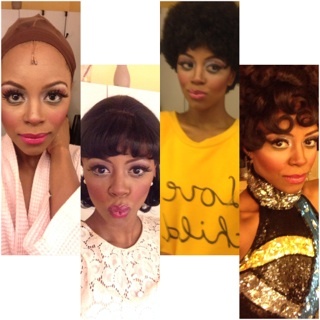 Krystal Joy Brown is just killing it as Diana Ross in the musical Motown, and we here at BroadwayBox are big fans (Exhibit A, B, C, D). 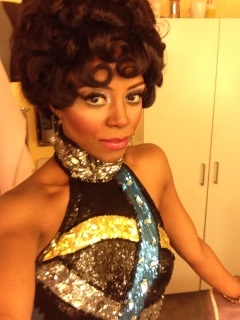 The hit show ends its run on January 18, but before it goes, we ain't too proud to beg for photos of KJB in all her Diana Ross glory. 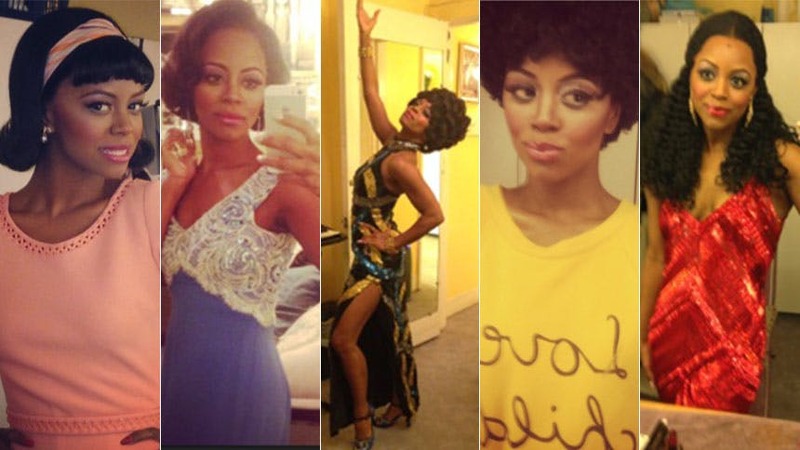 So scroll on as she brings us backstage at the Lunt-Fontanne to show off all her gorgeous Esosa costumes. 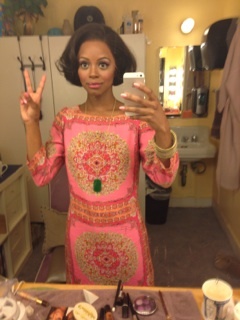 Act 2…“Good Morning Heartache” gown…my favorite! 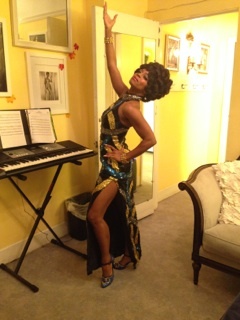 Act 2: “The Happening”, fun song and fun dress! We call her the snake dress. 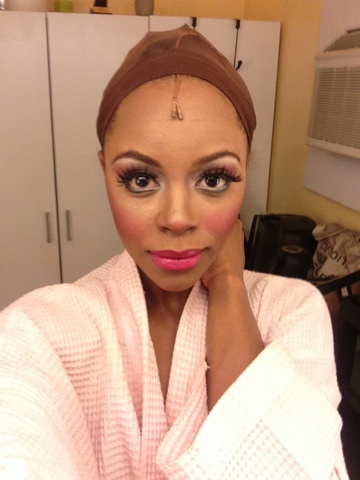 Act 1, finale. MLK death / “What’s Going On?” Love this late ‘60s look. My dresser Tracey Diebold hates my selfies. I don’t blame her. Act. 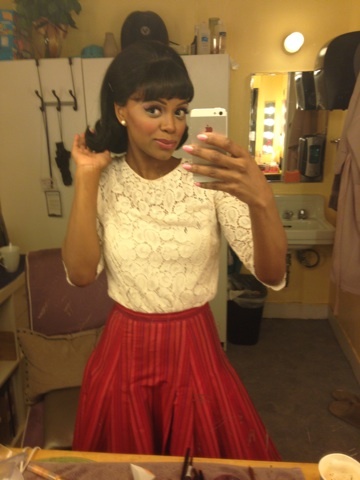 1: “I Hear a Symphony” selfie! 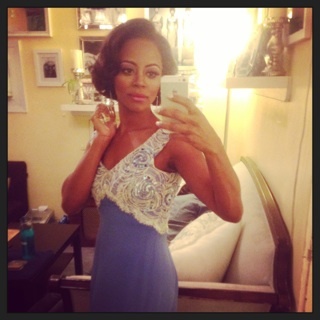 Simple gown…so elegant. 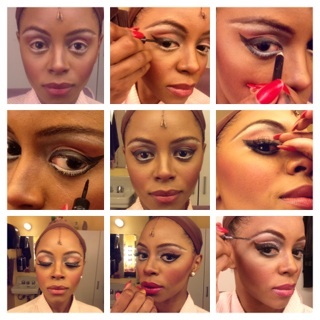 My makeup routine. Got it down to a science. First glimpse of Diana! 15 years old! 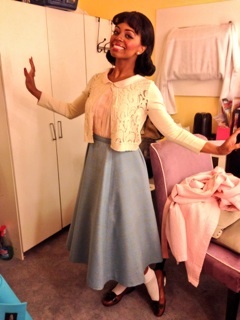 One of my favorite looks, the Act 1 flirt scene. I love a love story. Young Diana – I love this hair and its bounce. She was feisty. Iconic Diana. 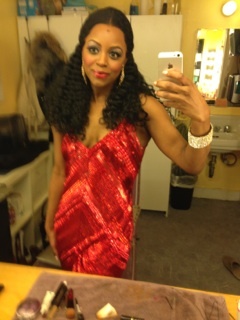 Bob Mackie-inspired, eleven-pound, hand-beaded gown. You can't help but feel beautiful. 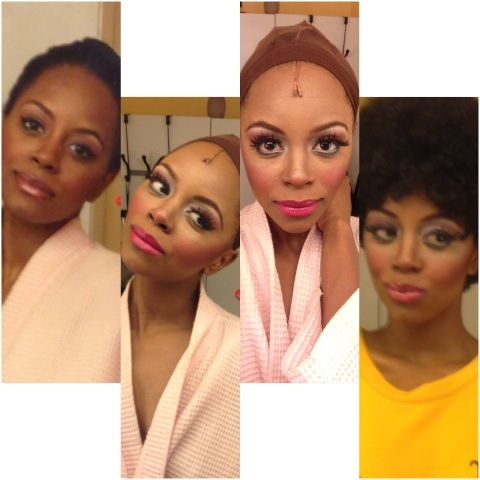 Now you hurry over to the Lunt-Fontanne Theatre to see Krystal Joy Brown’s luminous Diana Ross before January 18, 2015.